Press Secretary Robert Gibbs says if Auburn wins the BCS Championship on Monday, he will return to "roll' the White House. As his beloved Tigers get ready for the BCS National Championship game Monday, Robert Gibbs wants to bring an Auburn University tradition to the White House. Gibbs, the soon-to-be ex-White House press secretary, told CBS college football guru Tony Barnhart that if Auburn wins, he will return to “roll” or “TP” the White House, or at least part of it. The “The Tony Barnhart Show” is scheduled to air Thursday night. Some of you might be thinking, What the …?? Being an Auburn grad, I know a little about this tradition. After Auburn wins a football game or other significant sporting event, fans flock to the intersection of College Street and Magnolia Avenue. It’s known as Toomer’s Corner, after the drugstore that produces the lemonade that Esquire magazine once suggested was made by God himself. Fans mob the intersection after a victory, often forcing police to simply shut down two major arteries through downtown. There, we hurl roll after roll of toilet paper into the live oaks across from the drugstore. After a big win, everything on the corner is covered in the white stuff, even the power lines and eagle-adorned brick entryways to the university. It can get rather messy, as you can see here. Gibbs attended North Carolina State University, where he played goalkeeper for the Wolfpack soccer team, but he was born and raised in the city of Auburn. Gibbs told Barnhart that he thinks President Obama understands how important Monday’s game between Auburn and the Oregon Ducks is to him, Politico reported. Gibbs further said he’s worn the same Auburn shirt for every Tiger victory this year, even when everyone else was wearing a suit. War Eagle, Mr. Gibbs. See you in Glendale. I think the WH is safe from a good ol' fashion TP-ing. DUCKS ARE GOING TO ROLL!!!!!!!! College football. Go Auburn! Let's TP the Whitehouse. Yeah!!! Well happy horsesh/t. Bunch of ignorant turdfolk if you ask me. Yes the White House is a National Symbol an should be treated that way...I don't think any American would feel different. But it is not about degrading the meaning of the White House, its about lightning the mood an having a little fun and school sprit!! Even the top dogs can act a little crazy at times, there human. That's whats wrong with the world no one knows how to relax anymore!! Go AU!!!!!! The White House is NOT a place that should be treated like a random outhouse toilet on Halloween just because some idiotic rednecks from west Georgia call it a "tradition" . Leave it to a Democrat to sugggest a way to denigrate a symbol of our country. If he TPs the White House I suggest every freedom loving citizen of the USA call for his arrest. Contact your congressional representative and tell them to protest this action. It might be fun where he's from but let's not allow this to happen. 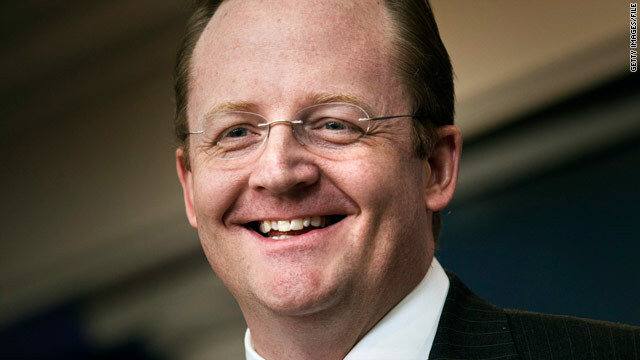 When is Robert Gibbs going to TP the White House? Auburn won! !